TCO was founded in Voss in 1999. The original name was Total Catcher Offshore, a fishing company that recovered equipment lost or stuck in oil wells. The company soon realized that valuable time spent fishing lost, stuck or damaged objects from the wellbore could be saved by equipment that would disappear within the wellbore as desired. This led the company to develop the intervention-free glass plug. The creation of the laminated glass plug represented a turning point within the oil and gas industry, and TCO attracted significant attention and acclaim as an industry leader within technology, innovation and sustainability. 2001 - Total Catcher Offshore changes its name to the simple acronym TCO. 2004 - TCO installs the first Tubing Disappearing Plug (TDP-1) on Statoil’s Norne field, and over the next four years TDP-1 installations are performed for major clients including BP, Shell, Dong and Total. The plug's design wins TCO the 2004 SME Innovation Award at the ONS conference. The jury notes that the TDP brings new levels of reliability and environmental protection to well service operations. 2008 - TCO launches the second generation Tubing Disappearing Plug (TDP-2). The TDP-2 rapidly gains a significant market share and in the following year, the company establishes an office in the United Kingdom and delivers its first TDPs to Australia. 2010 - BP Norway commissions the development of the third generation Tubing Disappearing Plug (TDP-3), which is developed with a completely new design. In the same year, the company embarks on a major project to upgrade its facilities, which includes the acquisition of Bergen CNC. This increases TCO’s R&D capabilities, and represents major investments in pressure, flow and explosive testing equipment to assist in new product qualification testing. 2011 - TCO develops the Tubing Conveyed Perforating (TCP) business line. TCO becomes the first local supplier of perforating services to ConocoPhillips Norway after successfully perforating two 50 metre zones for the company. TCO is awarded the contract for ConocoPhillips’s Plug & Abandonment (P&A) and Tubing Conveyed Perforating (TCP) scope of work. 2012 - through the acquisition of UK-based firm i-Quip, the company adds a new chemical injection system product line to its portfolio, increasing the company's knowledge and expertise within chemical injection. 2013 - TCO runs the first Disappearing Tubing Hanger Plug (DTHP) for a major client in West Africa, saving the operator between seven and ten rig days, and also runs the first pump-open plug on an ESP completion string in the UK. 2014 - TCO opens an office in the US, in addition to expanding the company's product portfolio with the B-Annulus Relief System. The B-Annulus Relief System is successfully installed for Statoil, and the company is nominated for the ONS 2014 SME Innovation Award for the newly launched product. 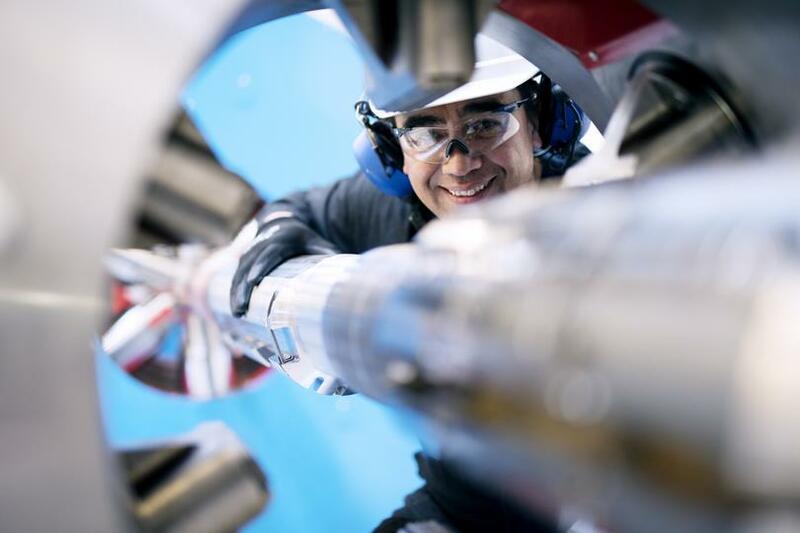 The same year Statoil awards TCO an exclusive contract for the delivery of chemical injection equipment and a frame agreement for the delivery of plugs in Norway. In addition, the company is awarded contracts for the delivery of deep water equipment in the US (Exxon and Shell) and a contract with GDF UK for the delivery of multi-node injection equipment. 2016 - With 500 glass barrier plugs installed and 120 TCP jobs performed since 1999, TCO closes out 2015 with the best financial year in the company's history. Following a decade of technological development and strong financial growth, TCO lays out a new strategic plan focusing on continued strong shareholder returns through innovation, global growth and execution, enhanced customer experiences to yield double digit earnings growth.